Wiles is a clean minimal and responsive WordPress theme well suited for blog, magazine, travel, health, business, finance, portfolio, design, art, photography, personal and any other creative websites. Developed using Underscores Framework that makes it mobile and tablets friendly. Theme comes with awesomeicons, social icon integration, author bio, and improved category widget. Wiles is coded using latest web standards such as HTML5 and CSS3 and is 100% SEO friendly. It has dozens of Theme Options to change theme layout, colors, fonts, slider settings and much more. Theme is also translation and multilingual ready. 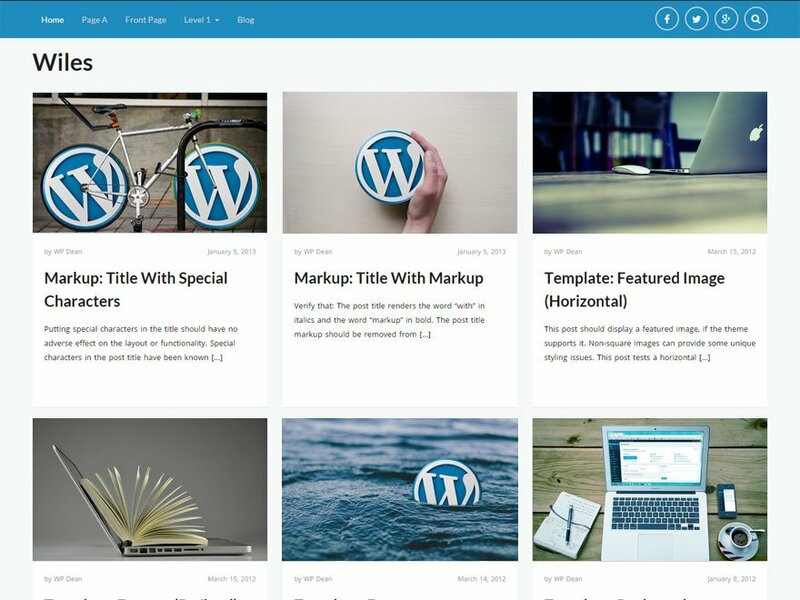 Wiles is a free WordPress theme with premium functionality and design. Now theme is optimized to work with Contact Form 7 and other popular free and premium plugins.